Whether you are qualified with heavy-goods or large-goods vehicles, it is important for all drivers to take regular refresher courses. Regardless of your experience in the industry, it is important to remain updated on industry changes and any new methods for vehicles. Paul William Training Services offer a range of refresher courses for many vehicle types. With our courses being available at very competitive prices, we offer a fantastic option for all clients. Whether you have had an accident on the road or you are just lacking composure behind the wheel, refresher courses can always be a great option to boost your confidence. With refresher courses being completed quickly, this can give qualified drivers slightly more experience in large vehicles and ensure you are fully equipped to drive safely on roads. We always give clients the support they need during refresher courses, updating you on any new driving methods to ensure you feel safe and comfortable within the vehicle. If you are lacking confidence, it is important to have refresher courses, rather than trying to build confidence up again through normal driving, where an accident could occur. If you haven’t been on the road for an extended period of time in LGV’s and HGV’s, you could be lacking industry knowledge that will help you in the most modern vehicles. Refresher courses will update you on any changes within the industry, making it vital for those who have not driven for a long period of time. Additionally, refresher courses can be completed by drivers who still drive regularly to ensure you also have the most up to date knowledge in the industry and that your driving skills always meet the required standard. Whilst HSE guidelines do not legally have to be followed, they do suggest driving staff should receive regular refresher training, regardless of what vehicle you are using. Refresher courses are a great opportunity to reinforce the principles learnt in actual driving courses and can maintain your driving skills at the highest possible standard. It is always important to be safe on the road and whilst you may be a strong and experienced driver, ensuring you are driving in the right way is important. By having refresher courses, you will ensure your driving skills are still in line with the requirements needed to pass our training and driving courses. Most importantly, you should be safe within larger vehicles. Large vehicles are obviously much more difficult to stay in full control of and without proper training, you could be causing danger whilst driving. With refresher courses, this is preventable and it makes sure your driving is at the highest possible standard. When completing refresher courses, you have a safe space for driving, allowing you to improve all driving skills, whilst never causing any potential issues. Refresher courses will often last just half a day and can give you that little extra experience needed to ensure safety on the road. 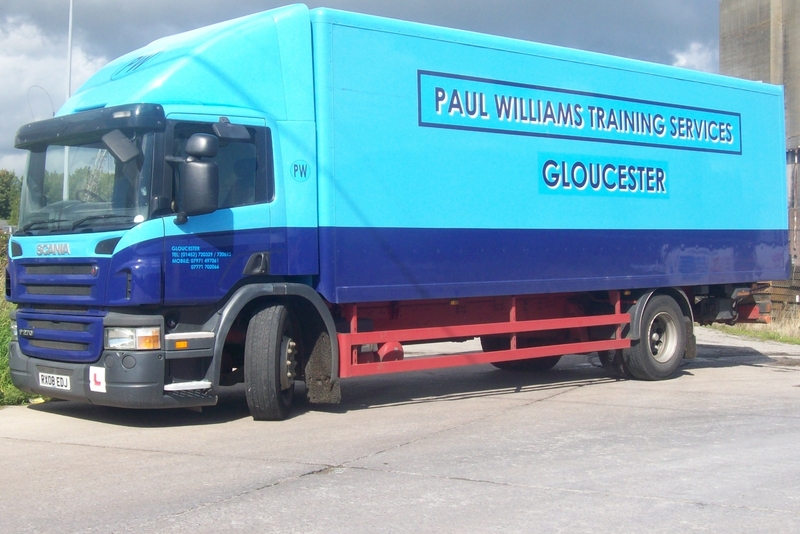 Paul William Training Services provide refresher courses throughout Gloucestershire. Refresher courses are important to help all drivers, regardless of experience and confidence in the industry. With our courses available at competitive prices, we can always find the ideal option for our clients. Call us today on 01452 720329 or 07771 702066 or fill in our contact form to make an enquiry.